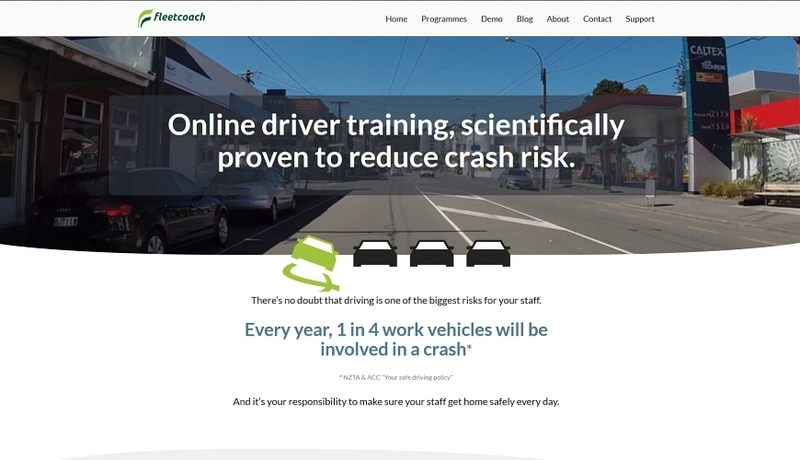 Fleetcoach is an award-winning company that provides driver training to businesses online, using interactive videos and virtual coaching. They approached Percolate for a complete overhaul of their website copy as part of an overall marketing push. 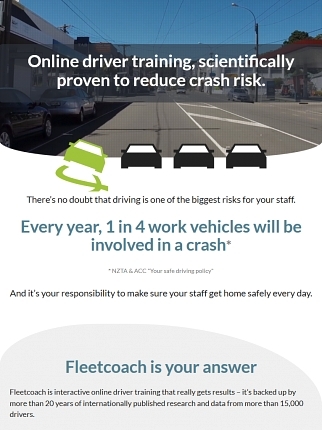 Because of the new workplace safety laws that had recently been introduced, this was a crucial time for Fleetcoach. Fleetcoach were one of those wonderful clients that already has a great idea of who they’re marketing to. Percolate crafted copy specifically aimed at those people – typically HR and Health & Safety managers with particular concerns about workplace safety – to show them how Fleetcoach can make their jobs a whole lot easier. This was a fun project for a company with a strong product. Percolate has since done several other projects with Fleetcoach, and it continues to grow.